BMW cars from 2003 model year to 2010 year MK4 navigation unit. Hi Rusty, Thank you so much for your advice on my Range Rover sat nav the new disc is amazing, your service and products are just the best. Many thanks Stewart. number of occasions for both range rovers and BMW’s. The latest one was a 2018 bmw maps upgrade and the installed product is as usual, first class. What stands out about satnav upgrades is how Rusty goes above and beyond all expectations when it comes to customer support. So if you are unsure of your personal tech ability and that’s making you think twice about this upgrade... don’t delay, get it done. With support like this you can’t fail. Well done, and il be back. Hi Rusty,just a big thank you for the sat nav update you sent me for my 05 B.M.W. X5 that had never been updated from day one. After buying one of eBay and it coming up error in reading I thought I would have go to B.M.W. agents and pay a fortune . But after finding you by chance on the BMW forum and also a contact number for you so was able to speak to you, and as they say job done Very please first class service thanks once again Brian Allan. Just a quick email to say your updated disc for the L322 was fantastic. In a 2000 mile trip to Europe it missed just 2 roundabouts in France, none in Spain. My lasted Garmin update can not do this in the UK. Disconnected the battery for 10 and re installed, ran engine for 15 and all is great ! Thank you for your help, delighted with the service and will spread the word ! I did the update this evening and it is fab. Thank you very much. Just wanted to say that my disc arrived and got installed in my 2009 Discovery 3. Turned out that there was a 2009/10 one in there already. So it just worked straight away, Magic. Well pleased with my update mate! Took an absolute age to transfer in the car but well worth it. Anyway, I am now no longer driving across fields near Luton Airport and all of the features work perfectly. Thanks for the upgrade, happy to use the following recommendation for your website if needed. 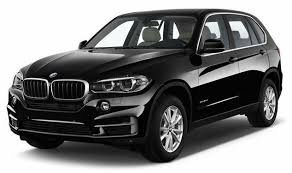 Received the link for my BMW with hours of paying, always a bit sceptic of buying of the internet but had nothing to fear, the process was simple and quick, would highly recommend using Rusty services to anyone, thanks again. Received my BMW 2018 nav update today Rusty. 5 minute update & worked like a charm. Many Thanks! Ryan. Hello Rusty Russ, I bought a BMW 2018 pro nav disc (purchased on 27/11/17) - been using it for the last couple of weeks and it works like a charm! Speed cams on it are legit! Keep me posted on any future nav releases. Keep up the badass good work! Thanks a million! Received Range Rover 2015 sat nav disc today thank you. Thought I would write to let you know how impressed I am with the new disc. Firstly it arrived Royal Mail First Class on time and in perfect condition.I ejected the old (2007-2008)disc and inserted the new 2015 upgrade. The system which is located under the front passenger seat loaded the cd within 5 minuets giving a progress report of loading on the centre dash screen which was very assuring.Once loaded I entered a post code and was slightly worried as I was shown a screen that only had numbers and NO letters..I returned to the main menu and realised that it was set for Belgium,after I set it for UK the numbers and letters appeared and all worked fine.The upgrade is far superior to the previous disc,faster and obviously more accurate.To be quite honest with you I have never been happy with the original 2007-8 system as it has had intermittent faults trying to take you off motorways when there is no need as well as minor play issues like screen loss! I have had a Tom Tom stuck on the Landy's Sat Nav screen for about 3 years now and now it's gone there's even more room in the cab. Just a quick mail to thank you for your excellent service. Sat Nav discs arrived within 24 hours with full instructions mailed over to me. Have installed the new Mk4 Nav unit in my Range Rover and the discs worked perfectly. I even appear to have access to LPG stations which is a bonus with a thumping 4.4 V8 under the bonnet ! Thanks for all your help over the phone and I'll be back when I need another disc. It's not often I can say this but thank you for sending me an upgrade to my sat nav which works and does exactly as you said. So thank you again, I know it is a bit sad to say thank you for supplying something as you described without any hassle but it's very refreshing to know there are still genuine people out there. Another satisfied customer, the back up disc arrived today, well packaged and loaded as described within 5 minutes my system was up and running with a much updated set of maps, no more driving across apparent empty fields! 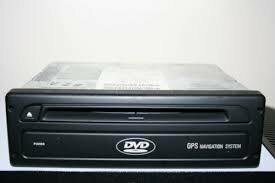 Tip for other Discovery 3 owners, just motor the front passenger seat forward and you will be able to easily access the drive to unlock the drawer and eject /load the DVD from the front corner of the seat. Using a small torch made life easier – No need to dismantle the under seat as advised on a number of sites on the internet! Disc has arrived and works beautifully. Many thanks. I can't believe I ordered it yesterday and it has arrived in under 24 hours. I AM RECOMENDED ON THE BMW FORUM SITES FOR TOP QUALITY UPGRADES.I HAVE BEEN SUPPLYING TOP QUALITY UPGRADES SINCE 2008 TO MANY HAPPY CUSTOMERS. ALL MY UPGRADES COME WITH A 100%.30 DAY MONEY BACK GUARANTEE.REFUND OR REPLACE. CHECK MY PRICES. YOU WONT FIND BETTER OR CHEAPER TOP QUALITY UPGRADES ELSEWHERE. TAKE A LOOK AT SOME OF MY CUSTOMERS COMMENTS.ALL GENUINE FEEDBACK FROM HAPPY CUSTOMERS.ALSO NOT SO HAPPY CUSTOMERS OF PURCHASES FROM A COMPETETOR.WORD FOR WORD ALL TRUE HE KNOWS WHO HE IS. DONT JUST TAKE MY WORD FOR IT CHECK THE BMW FORUMS.BEWARE OF COME & GO SELLERS ON SIMILIAR WEBSITES WITH NO CONTACT NUMBER, NO FEED BACK ETC. SELLING CHEAP INFERIOR, INCORRECTLY PRODUCED PRODUCTS THAT COULD PERMANTLY DAMAGE YOUR SAT NAV SYSTEM.BEWARE OF THE OLD SAYING IF IT SOUNDS TO GOOD TO BE TRUE IT PROBALLY IS.THE CHOICE IS YOURS. ANY ITEMS MUST BE RETURNED WITHIN 30 DAYS AND ARE SUBJECT TO A £5 DEDUCTION FOR INCORRECT ORDER.IF POSSIBLE CORRECT ITEM WILL BE SENT.